Buy in season. Be creative and use cookbooks that focus on eating by the season. 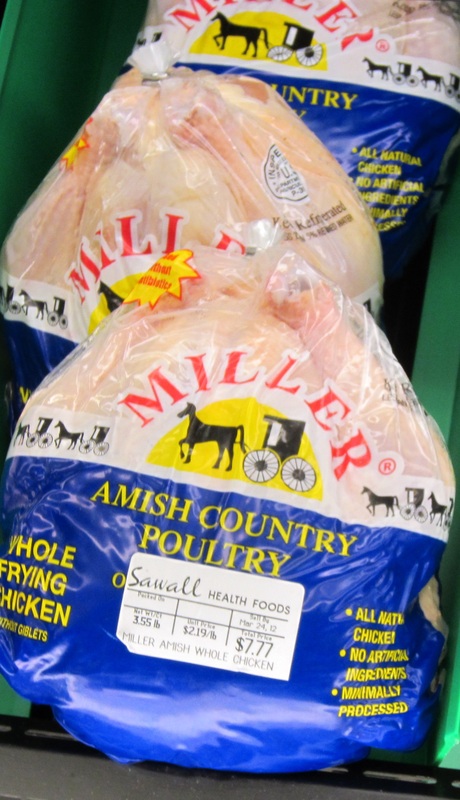 Foods in season will be abundant and therefore more reasonably priced. There’s a reason blueberries cost twice as much in the winter as they do in the summer. Buy locally. If you are not adding on to transportation costs, you will be able to find a better price, not to mention, support your local economy and get to know your farmer and what practices they use. Make your own condiments such as mayonnaise. Organic versions of certain condiments may be pricier than non-organic counterparts, so why not experiment with making your own? 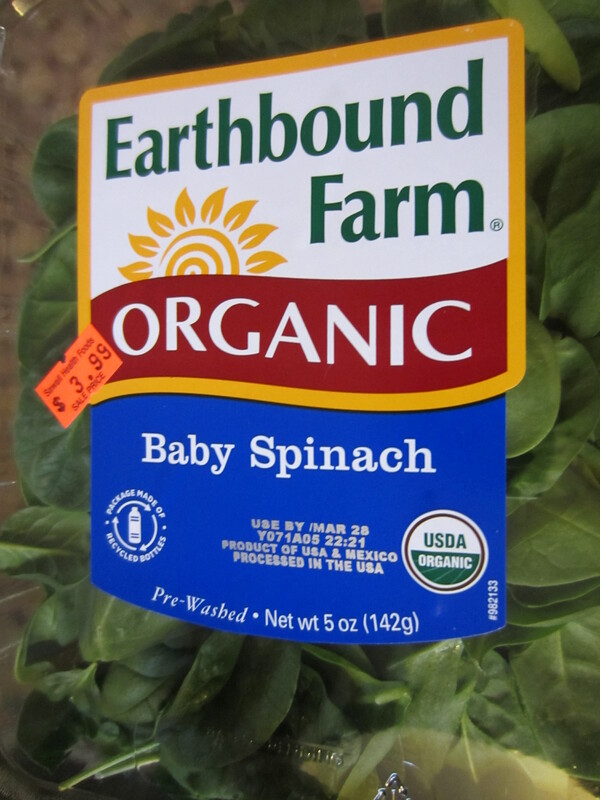 Fresh, organic and GMO-free sounds great to me! Join a larger group such as a CSA or food co-op. Community supported agriculture (CSA) is when you join a group of people that pay a farmer up front for the season of crops. 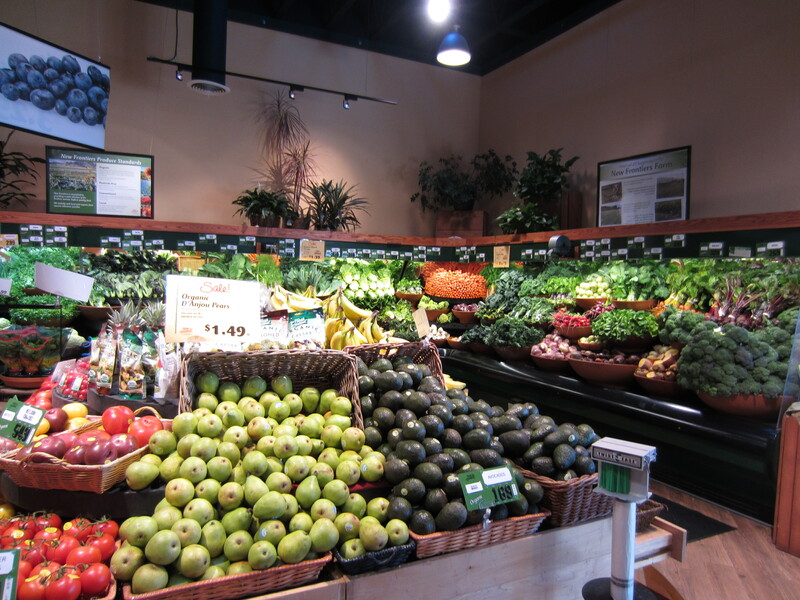 Produce is then available to you, usually on a weekly or biweekly basis, based on what the farmer grew. I participated in one of these and it was exciting to see what our package would include each week and to base recipes off these goodies. Joining a larger group can allow for greater buying power and lower prices for the individual. Food co-ops also have sales exclusively for owners. Meet people who are as enthusiastic about food as you are. This is a great way to make friends and find people who raise chickens, sell eggs, keep bees, etc. Shop around. 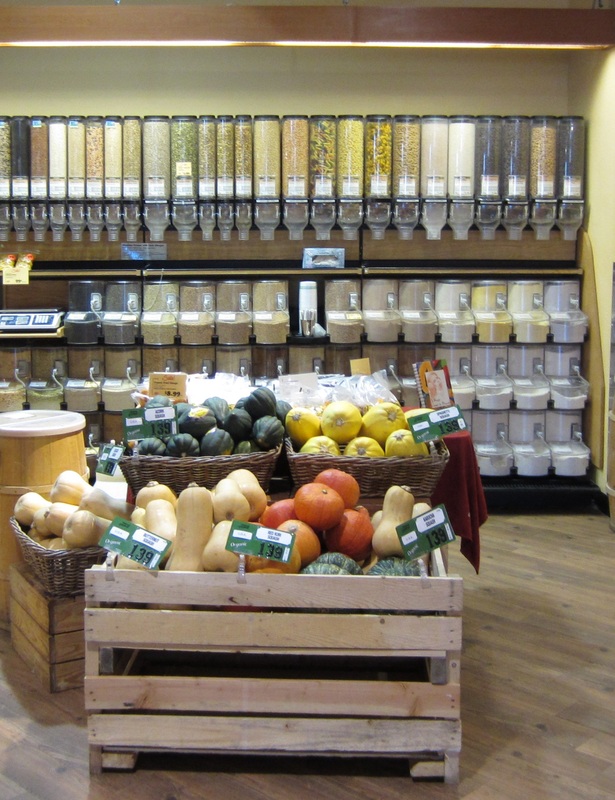 You may have more than one store near you that offers organic options. Compare prices of produce you like to buy. Consider shopping online if there is not much selection in your area. Cook at home. Pack a lunch. Avoid eating out. Grow your own food if possible. Even a few herbs will help as these tend to add up if you do your own cooking. And raise your own animals too if you can! Preserve your own food. Can it, freeze it, preserve it anyway you can to not waste any and be able to use in the future when it is no longer in season. Buy in bulk. Not only is it better for the environment when you reuse your own bulk storage products and eliminate packaging, but you can also save money. Our favorite spot in Sedona! Location Location Location! Make choices that work for you. Organic vs. local? If the only organic produce you get is traveling many miles to get to you, you are increasing transportation costs as well as fossil fuel use. Maybe buying local from a farmer you trust who uses minimal chemicals and healthy soil practices is the best option. There are some hoops to jump through to become organic and many farmers use organic practices without the official certification (the certification can be pricey). On another note, bigger corporations such as Wal-Mart purchase cheaper organic products from places like China – that’s a long way for your food to travel and other countries may have different standards for organic. If you can’t find local organic produce you may have to choose between local OR organic. Stick to your list BUT don’t be afraid to buy based on what’s on sale. This may sound contradictory, but shop with an open mind. Stick to your list, as in don’t get carried away and buy tons of snacks and packaged foods you don’t need. However, if you see sale items that you can easily build meals around, buy based on those sales. Think leftovers. When selecting meat, choose cuts that will allow you to have enough left over for another meal. This is where a great deal of money can be saved compared to buying packaged food for every meal. Also, choose less expensive cuts of meats, or buy an entire chicken so you can use all of the parts in your cooking. This works especially well if different members of the family have different parts of the animal they prefer. Stick to whole foods which are cheaper than their packaged counterparts. Sure, if you are buying organic mac and cheese it is going to be quite a bit pricier than its non-organic counterpart. But if you make whole foods a staple of your diet and buy less packaged products you will save money. Pick and choose wisely. If you simply can’t afford to buy ALL organic, remember some foods are more important to buy organic than others. I recommend starting with animals and eggs. Animal products accumulate toxins from their pesticide-containing feeds in their tissues so you end up with higher concentrations of pesticides than you would from fruits and vegetables. Organic meat is free from antibiotics and harmful steroids. Grass-fed meat is also more nutritious. Who wouldn’t want free range animals that have enjoyed a nicer life? Organic raw milk is the way to go to avoid genetically modified growth hormone. For fruits and vegetables, the general rule is the thicker the peel, the more protected from pesticides the food is. Produce that is somewhat protected from pesticides or where pesticides are generally used less commonly include: bananas, oranges, tangerines, lemons, grapefruit, pineapples, watermelons, figs, onions, avocado, asparagus, sweet peas, mangoes, eggplant, kiwi, cabbage, watermelon, sweet potatoes, mushrooms. The thinner peeled produce is more likely to be contaminated with pesticides and going organic is probably a good idea: apples, bell peppers, celery, cherries, grapes, nectarines, peaches, pears, potatoes, cantaloupe (often contaminated with one of the longer-lasting chemicals), winter squash (also more prone to absorb longer lasting chemicals), cucumber, raspberries, green beans, spinach, strawberries, blueberries, kale, collard greens, broccoli, lettuce. Also wash non-organic food well – I recommend soaking thoroughly and using grapefruit seed extract to get it clean. 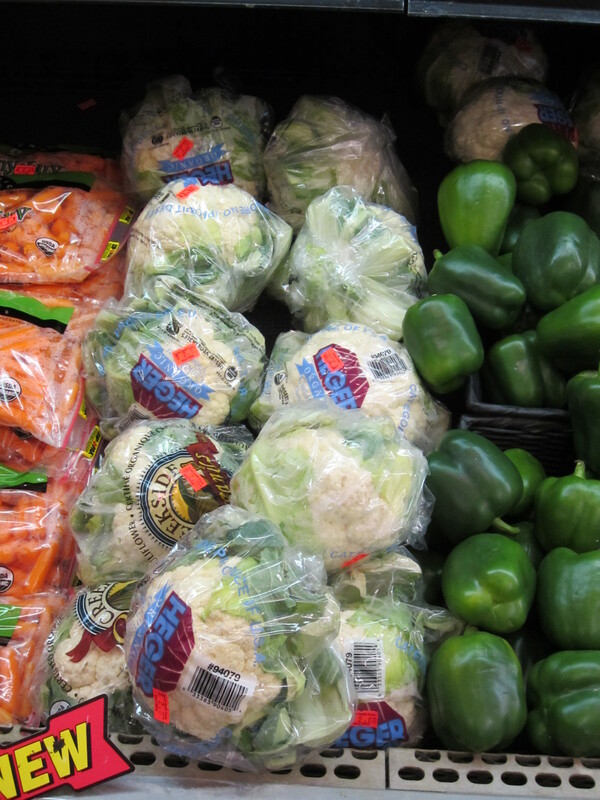 Remove outer portions of produce for things such as lettuce and peel non-organic produce. Remember, food should be appreciated and respected. You should be willing to pay for healthful nutritious food. Our culture has cheapened the role of food in our society. If a hamburger costs 99 cents it is obviously not at the level of quality of something you should be putting into your body – you get what you pay for! Invest now, and reap the long-term benefits of your food choices! This entry was posted in On a budget and tagged budget, cauliflower, Kalamazoo, local, organic, Sedona, spinach by Tina's Pharm. Bookmark the permalink.